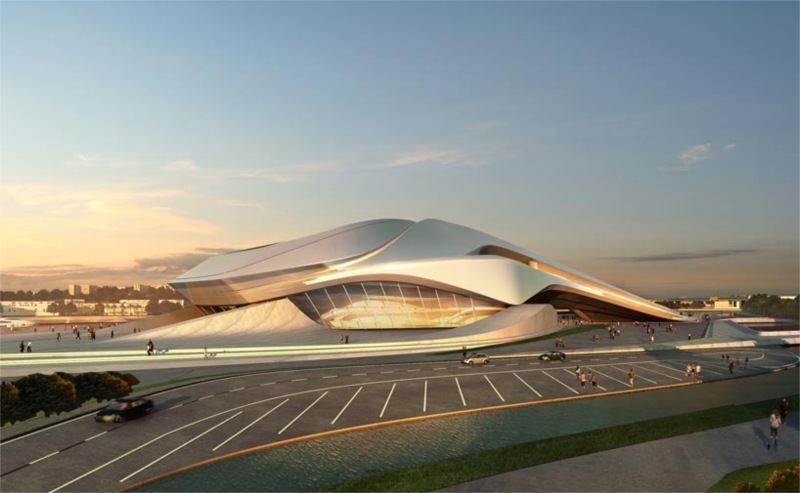 Following a recent ceremony in Rabat, Morroco, Agence pour l’Aménagement de la Vallée du Bouregreg (The Bouregreg Valley Development Agency) verified that architectural designs will be provided by Zaha Hadid Architects. The program will include three theater spaces, indoor spaces consisting of 2,050-seat and a 520-seat, and a fully-equipped outdoor amphitheater holding up to 7,000 people. The theaters will share back of house facilities, efficiently reducing the size of the building services needed. Creative studios will also be incorporated into this cultural venue. 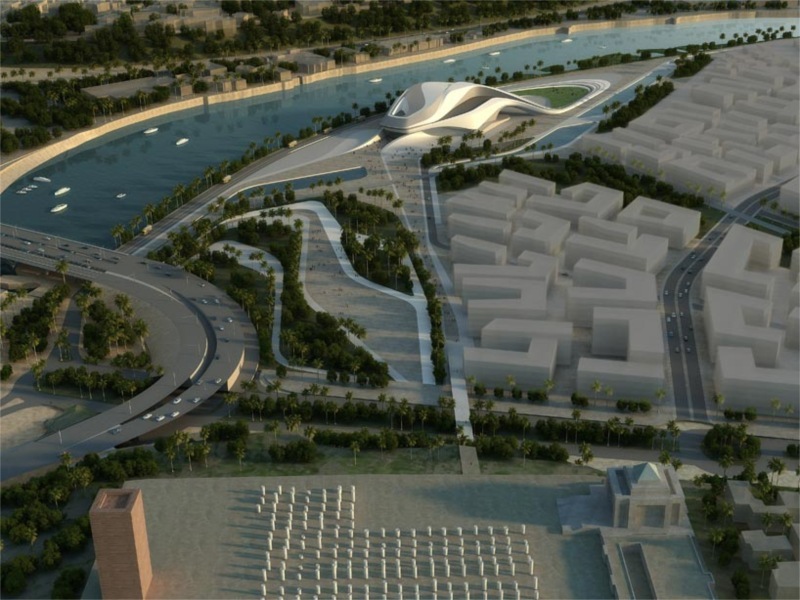 Estimated cost is at 120 Million Euros for the Rabat Grand Theater. 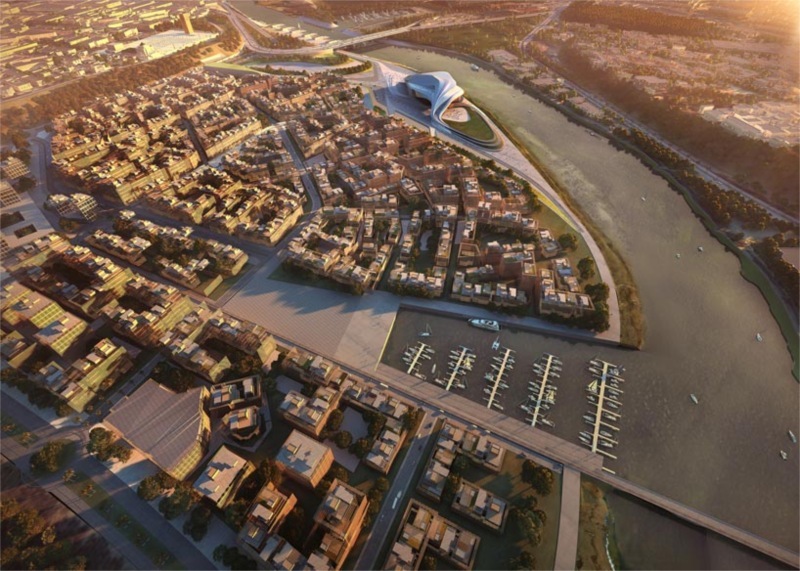 The site for the project is the geographic center between the twin cities of Rabat and Salè; the historic Kasbag Oudayas to the northwest, the ancient city of Salè and airport to the north-east, Chellah and the royal palace to the south-west and the proposed sequence III of Amwaj development to the east. 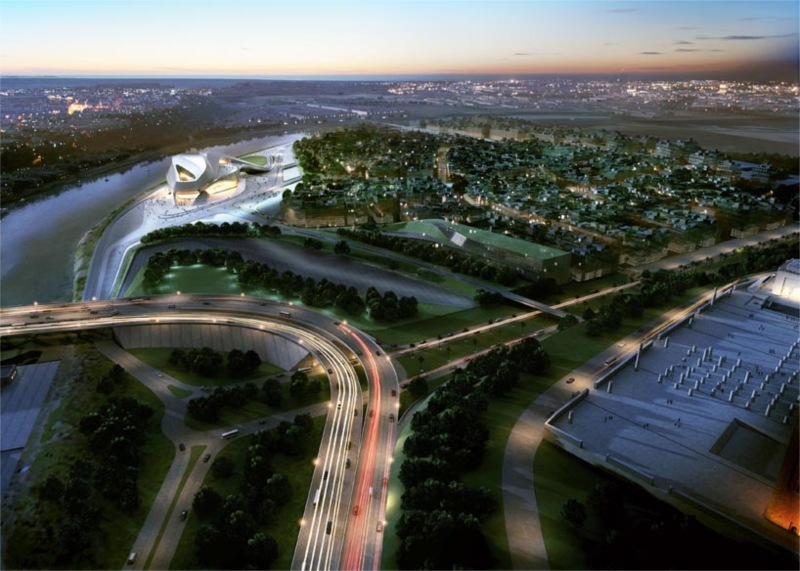 the design takes off from the adjacent Bouregreg river: In a similar dynamic manner, the landscape of the park is generated in a single gesture to engulf the amphitheater. The ground extends to the sky, resulting in a sculpted envelope over the two auditoria and arches back down to the ground level to melt into the landscape. the form is a seamless structure, creating a spatial experience that directs the visitors intuitively through the main foyer and programs.